Many Soviet Armenian writers who flourished in the first half of the twentieth century were survivors of the Armenian Genocide. Several of them were from Van, and one of them, famous and infamous for different reasons, was Nairi Zarian. His actual name was Hayastan Yeghiazarian. He was born on December 31, 1900, in the village of Kharagonis, in the province of Van. He was a fifteen-year-old boy in 1915, among the survivors of the first phase of massacres in the surroundings of Van around the time of the self-defense of the city against Ottoman regular forces (April-May 1915). Van was saved by the arrival of Russian troops and Armenian volunteers, which were ordered to retreat in July. The Armenian civilians took refuge in the Caucasus and young Hayastan was among them. From 1915-1921 he lived in orphanages of Dilijan and Yerevan, where he received his initial education. He published his first poem in 1918. He met poet Yeghishe Charents around this time, who shortened his long name. “Hayastan” became the poetic name for Armenia, “Nairi,” and abbreviated “Yeghiazarian” into “Zarian.” Nairi Zarian graduated from the Diocesan School of Yerevan and, in 1927, from the School of History and Literature of Yerevan State University. In 1933 he finished graduate school in literature at the State Academy of Art Sciences of Leningrad (now St. Petersburg). After the rise of Stalin to power, Zarian aligned himself entirely with power. His poem “Stalin” earned him the Lenin State Prize in 1935. After the death of Aghasi Khanjian, First Secretary of the Communist Party of Armenia, in July 1936, he set himself to denounce the so-called “nationalist and Trotskist” tendencies of some of Khanjian’s protégés and the best writers of the time, like Charents, Axel Bakunts, and many others, in an article published a week later. He concluded it with the following statement: “The real, true way for the literature of Soviet Armenia is the road of Socialist Realism, the road of people’s brotherhood and a society without classes, the road of Lenin and Stalin.” Zarian’s active role in 1936-1937, when the main names of the Soviet Armenian intelligentsia were arrested, shot, or sent to Siberia with trumped-up charges of conspiratorial or ideological deviation, earned him powerful criticism after the death of Stalin (1953). Nevertheless, in 1937 he was arrested, but he saved himself by writing the novel Hatsavan about the collectivization of the economy, executed by Stalin in the early 1930s. During World War II, when nationalism was briefly conflated with Soviet patriotism, Zarian followed through with works of this kind. Some of his patriotic poems, as well as his play in verse Ara the Beautiful (1944), earned him recognition. He was president of the Armenian Writers Union from 1944-1946, and from 1951-1958 he was deputy of the Soviet Supreme of Armenia and president of the Armenian Committee for the Defense of Peace. Nairi Zarian passed away in Yerevan on July 11, 1969. A street in the Armenian capital carries his name. Anita Conti belongs to the category of remarkable people of Armenian origin to be found throughout history. She was known throughout the world as the first French female oceanographer. 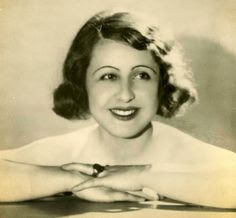 Née Anita Caracotchian, she was born on May 17, 1899, in the French town of Ermont (department of Seine-et-Oise) to a wealthy Armenian family. Her father, Levon, was a doctor, originally from Constantinople. She spent her childhood being educated at home by different tutors and traveling with her family, gradually developing a passion for books and the sea. Her journalistic articles made her well-known. In 1935 Anita Conti was hired by the director of the Scientific and Technical Office of Sea Fishing, and contributed to the launching of the first French oceanographic ship, the Président Théodore Tissier. She did research in the Pacific, Indian, and Arctic oceans from 1936-1938. After a campaign of cod fishing in the Barents and Spitzberg seas in 1939 aboard theViking, with a crew of fifty men, she embarked on the minesweepers active in the English Channel and the Northern Sea, and took active part in the operations of mine clearing in Dunkirk from November 1939-January 1940. She gained a deeper understanding of the issues faced by fishermen by spending time on fishing boats for days and even months on certain occasions. In the interwar period, she developed the technique of fishing maps apart from the already used navigational charts. For two years, she observed the French fishermen along the coast of Saharan Africa and discovered fish species unknown in France. She published many scientific reports on the negative effects of industrial fishing and the different problems related to fishing practices. From 1943-1952, she studied in the Mauritian islands, Senegal, Guinea, and Ivory Coast the nature of the seabed, different fish species and their nutritional values in regards of protein deficiency for the local populations. Gradually, she developed better preservation techniques and fishing methods, and installed artificial dens for further studies. She even founded an experimental fishery for sharks. She became more and more conscientious of the misuse of natural resources by the fishing industry and the major waste that could be prevented. She was the only woman among the sixty men of the ship “Bois Rose,” which spent six months on the ocean in 1952. 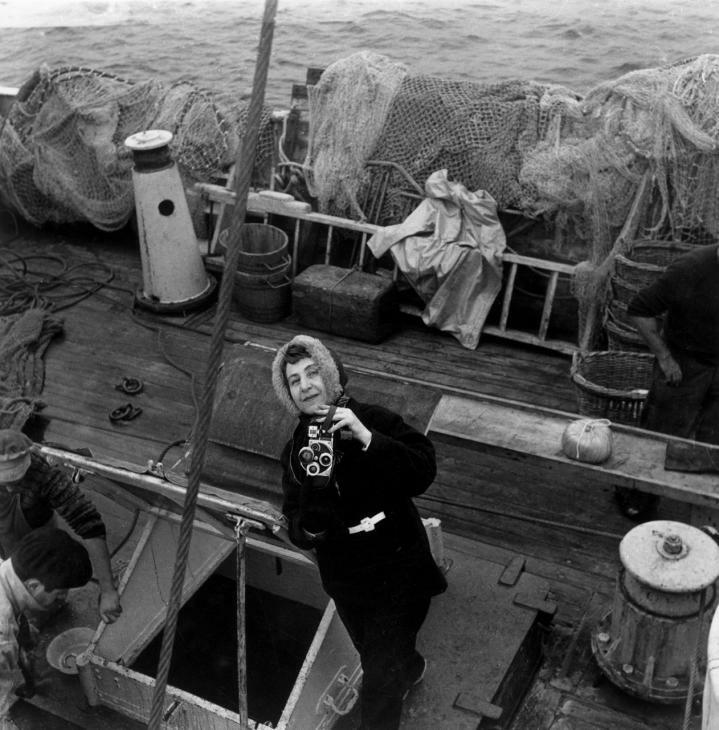 It came back with 1,100 tons of cured fish, as well as 5,000 precious photographs by Anita Conti and the manuscripts of her first book, Racleurs d’océans (Scrapers of Oceans, 1953). The book won the Prix des Vikings in 1954 and was the basis for a documentary film by the author. Encouraged by the literary success of her book, she gathered her notes on Africa and published her second volume, Géants des mers chaudes (Giants of Hot Seas), in 1957. In 1958 she participated in a historic event: the trial in the Mediterranean Sea of the first bathyscaphe at 600 meters of depth. In 1971 Anita Conti published L’Ocean, Les Bêtes et L’Homme (The Ocean, the Animals, and the Man), to denounce the disaster that men create and its effects on the oceans. Through many conferences and forums and for the rest of her life, she advocated for the improvement of the marine world. She continued her indefatigable traveling and studying well passed her eightieth anniversary. She died in Douarnenez on December 25, 1997. According to her will, her ashes were spread in the Sea of Ireland in 1998. Two lyceums in France are named after her. In the fateful years that led to the end of the Ottoman Empire, Johannes Lepsius was the one personality who tried to raise Armenian issues among German public, especially a voice of alarm to document the genocide of 1915-1916 from its very beginning. Protestant missionary and Orientalist, Lepsius was above all a humanist. He was the younger son of Carl Richard Lepsius, the founder of Egyptology in Germany. His siblings also become prominent personalities in science and art. He was born on December 15, 1858, in Berlin (Germany). 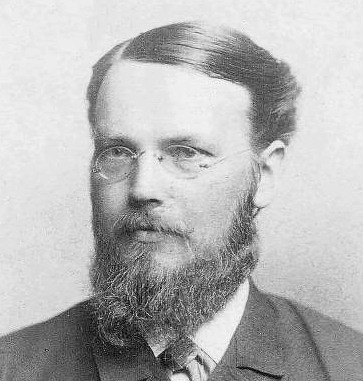 He studied mathematics and philosophy in Munich, and earned a Ph.D. in 1880. He was trained as a Lutheran pastor and was on the board of the Syrian Orphanage of Jerusalem from 1884-1886, where he met his wife Margarethe Zeller. She passed away in 1898, leaving six children. 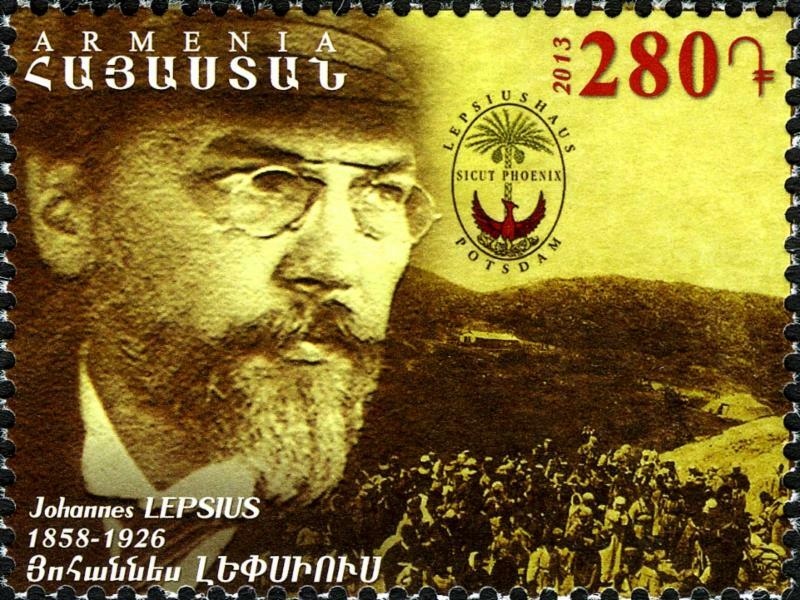 Lepsius became a missionary in the Ottoman Empire in the 1890s. He came to public attention when he traveled in disguise to gather evidence on the Turkish massacres of 1895-1896. His report on the pogroms, Armenien und Europa (1896), stirred considerable controversy and significantly affected international relations with the empire. He also helped found the Deutsche Orient Mission (German Mission for the Orient) to operate orphanages and schools for Armenian children. Lepsius traveled to Constantinople in 1915 and gathered information about the ongoing massacres and deportations, while he unsuccessfully appealed to Turkish authorities to stop them. He also tried to lobby the German government. In 1916 he published privately Bericht über die Lage des armenischen Volkes in der Türkei (Report on the Situation of the Armenian People in Turkey; French edition, 1918), where he meticulously documented and condemned the annihilation. Lepsius was forced to secretly publish the report due to official military censorship. However, Lepsius managed to distribute more than 20,000 copies after the book was forbidden and before censorship was enforced. In the second edition, Der Todesgang des armenischen Volkes (The Death Walk of the Armenia People), he included an interview with Enver Pasha, held in June 1915. The German responsibility in the Armenian genocide was a subject often discussed during World War I. In the first months following the defeat of Germany and Turkey, Germany faced allegations of war crimes in Europe and sought to avoid responsibility for crimes within Turkey. For his part, Lepsius was committed to unearthing the most comprehensive record possible of the genocide. Thus, while still in the Netherlands, he readily agreed to the foreign ministry's offer to let him prepare a series of books based on formerly secret German diplomatic records, beginning with a volume documenting German activities in Turkey and Armenia between 1914 and 1918: Deutschland und Armenien 1914–1918: Sammlung diplomatischer Aktenstücke (Germany and Armenia 1914–1918: Collection of Diplomatic documents) (1919). Although German officials claimed that they had released a copy of the complete record, they actually supplied Lepsius with censored versions of many documents. A systematic comparison of the published documents with the originals revealed that there were a great number of abridgements or even forgeries, and that important references to German policy with regard to the genocide, joint responsibility, as well as involvement of German officers in repressions against the Armenians had been systematically held back. In addition, the names of important Turkish people involved in the genocide were generally omitted. In the end, Lepsius’ collection presented frank and detailed evidence of the Young Turks’ genocidal campaign, but tended, unwittingly, to absolve Germany of any responsibility. The uncensored version of the German documents was published in 2005 by researcher Wolfgang Gust (also available in English translation). In June 1921 Lepsius testified for the defense in the trial of Soghomon Tehlirian, the assassin of former Turkish Interior Minister Talaat Pasha. Lepsius passed away on February 3, 1926, in Merano (Italy). Franz Werfel, who used his publications for his novel The Forty Days of Musa Dagh, portrayed him as a “guardian angel of the Armenians.” The “Johannes Lepsius Archive,” initially collected and organized by theologian Hermann Goltz at the Martin Luther University of Halle-Wittenberg, was moved in 2011 to the newly opened Lepsius House Museum, set in the house in Potsdam where Lepsius lived from 1908 and 1925, which also functions as a research center for genocide studies. A street in Potsdam is named after the German humanist, as well as a school in Yerevan. The Karabagh movement started in 1988 with the goal of reuniting the region of Mountainous Karabagh (an autonomous enclave artificially created in Azerbaijan) to Armenia by legal means. The joint statement of reunification, issued on December 1, 1989, seemed to be the culmination of that process. However, the opposition of Azerbaijan, with the consent of the Soviet central power, became the main obstacle for its realization. Another process, the collapse of the Soviet Union, was playing simultaneously. As a result, the Soviet republics prepared to break away, especially after the failed coup d’état in Moscow on August 19-21, 1991. On August 30, 1991, Azerbaijan adopted the Declaration on the Restoration of the State Independence (a document similar to the Declaration on Independence adopted by Armenia on August 23, 1990), declaring itself the successor of the independent Republic of Azerbaijan of 1918-1920. The first Azerbaijani Republic did not include Mountainous Karabagh, which was recognized as a disputed territory by the League of Nations. The legislature of Karabagh enjoyed the right to take advantage of existent Soviet legislation, particularly the Soviet law of April 3, 1990 “On the Procedure for Secession of a Soviet Republic from the USSR.” According to this law, in the case of a Soviet republic withdrawing from the Soviet Union, autonomous entities and densely settled minorities in that republic had the right to independently determine their political-administrative status. Azerbaijani repression against the Armenian population, which would take the shape of ethnic cleansing, led to the joint session of the Regional Councils of Mountainous Karabagh and Shahumian, which declared the establishment of the Republic of Mountainous (Nagorno in Russian) Karabagh on September 2, 1991, within the borders of the former Autonomous Region of Mountains Karabagh and the Shahumian region. The declaration was consolidated with a referendum held on December 10, 1991, days before the official dissolution of the Soviet Union. The question asked to the voters was: “Do you agree that the proclaimed Republic of Mountainous Karabagh becomes an independent state, which will determine the ways of cooperation with other states and unions by its own will?” A total of 132,328 people were eligible to vote. The participation was 82.20% (108,736) of the voters, with the Azeri population of Karabagh boycotting the referendum. The “yes” had a resounding 98.89% (108,615 votes), with 95 votes annulled. Azerbaijan, which would not recognize the result of the referendum, did not stop shelling the capital Stepanakert and other towns. Ten people died on the referendum day and another eleven were wounded. After parliamentary elections held later in the month, the Supreme Council of the new republic was formed. The first session of the Supreme Council in January 1992 ratified the proclamation of the independence and elected its president, Artur Mkrtchyan. 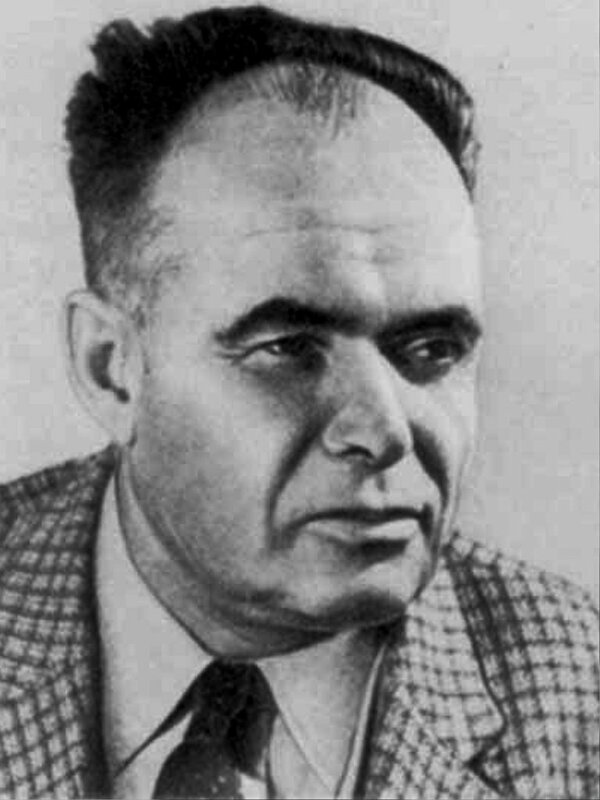 The Council of Ministers was also created, with Oleg Yesayan as first prime minister. Soon the republic would have its own flag, coat-of-arms, and anthem. The Constitution of the Republic of Mountainous Karabagh, however, was not ready until 2006. The project was also put to referendum on December 10, 2006. Of 90,077 people eligible to vote, 77,279 voted to approve the Constitution (85.79%). There were 554 votes against. After 2006, December 10 became a holiday in Karabagh. 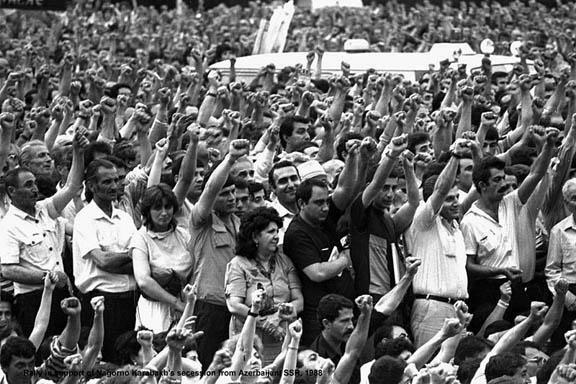 The movement for the reunification of Karabagh to Soviet Armenia in the 1980s did not start from one day to another. After Mikhail Gorbachev, the last First Secretary of the Soviet Communist Party, declared the new formula of glasnost (“transparency”) in the plenary session of the party (April 1985), many issues came to the surface. The atmosphere of openness and relative freedom offered the opportunity to look forward to reunification. In August 1987 the Armenians in the Autonomous Region of Mountainous Karabagh, then a part of Azerbaijan, submitted to Moscow a petition signed by more than 80,000 people. The crucial step was taken in the February 20, 1988 session of the Regional Soviet of Mountainous Karabagh, which voted 110 to 17 to request the transfer of the region to Armenia. Instead of a conciliatory solution, the Political Bureau of the Central Committee of the Soviet Communist Party issued a resolution that qualified the Karabagh movement as “extremist” and “nationalist,” as well as contrary to the interest of the workers of Azerbaijan and Armenia. The lack of a solution from the top instilled the need for a solution from the bottom: massive popular demonstrations in Yerevan and Stepanakert followed, to which Azerbaijan reacted with the massacre of Sumgait on February 28, 1988. The situation became more and more complicated and conflictive during 1988. In an attempt to find a solution, in January 1989 Gorbachev attached the Karabagh region directly to Moscow and designated Arkady Volsky as head of a special committee for administration. The Regional Soviet and the regional committee of the Communist Party were dissolved. However, hopes for a solution of the conflict were dashed and a congress of plenipotentiary representatives of Mountainous Karabagh was held in Stepanakert on August 16, 1989. It elected a National Council, to which it delegated the faculties of executive power. On November 28, 1989, the Supreme Soviet of the Soviet Union decided to eliminate the special committee and reattach Karabagh to Azerbaijan. It also created an Organizational Committee, led by the second secretary of the Communist Party of Azerbaijan, Viktor Polyanichko. In response, on December 1 a joint session of the Supreme Council of Soviet Armenia and the National Council of Mountainous Karabagh adopted a resolution about the unification of Armenia and Karabagh. The resolution was based “on the universal principles of self-determination nations” and reflected “the legal aspiration of the two sections of the Armenian people separated by force.” The Supreme Council recognized the self-determination of the Autonomous Region, approved by the resolutions of the Regional Council of February 20 and July 12, 1988, as well as the resolutions of the congress of representatives of Artsakh (August 19, 1989) and the National Council (October 19, 1989) (article 1). It also recognized the congress of plenipotentiary representatives and the National Council as only legal authority of Karabagh (article 2). The Supreme Council and the National Council declared the reunification of Soviet Armenia and Mountainous Karabagh, and the citizenship rights of Soviet Armenia were extended over the population of Karabagh (article 3). A joint committee was created by the Supreme Council and the National Council to set up the steps towards reunification (article 4). Both legislative bodies took upon themselves the representation of the districts of Shahumian and Getashen, in the north of Karabagh, which still have their Armenian population (they would be occupied by Azerbaijan and its population expelled in 1991-1992) (article 5). 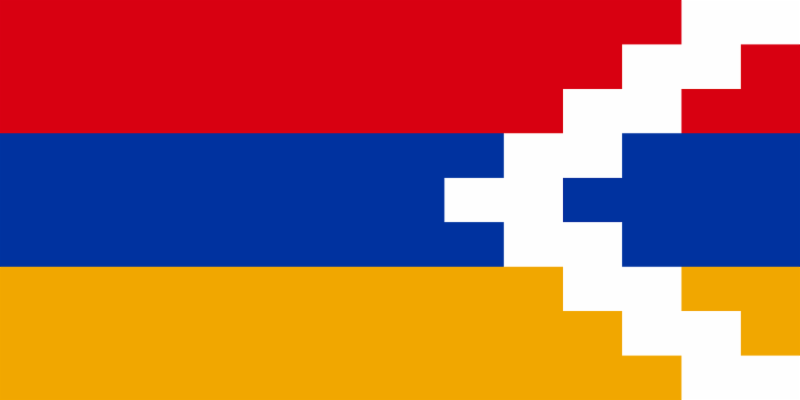 The presidency of both bodies and the Council of Ministers of Armenia were tasked with the execution of measures derived from the resolution “to realize the actual fusion of the political, economic, and cultural structures of the Armenian SSR and Mountainous Karabagh in a unified state and political system.” (article 6). Azerbaijan characterized the resolution as an intromission in the internal affairs of the country. The tension between both countries was rising, and the conflict was shaping up towards a military solution. However, the Soviet Union still existed and its police and army, regardless of who they protected, were the last force that prevented the confrontation between Karabagh and Azerbaijan. Once they disappeared, the war became unavoidable. Although the referenda on independence by Armenia (September 21, 1991) and Mountainous Karabagh (December 10, 1991) declared the independence of both countries, the resolution about the unification was never challenged. As a matter of fact, when Robert Kocharian was proclaimed candidate to the presidency in February 1998, his candidacy was questioned since article 50 of the Constitution of Armenia, sanctioned in 1995, established that the president should have a ten-year citizenship and permanent residency in Armenia. The courts of Armenia, however, determined that the candidacy was legally based on the resolution of December 1, 1989, since article 3 had proclaimed the “reunification of the Armenian SSR and Mountainous Karabagh” and extended the rights of Armenian citizens over the population of Karabagh. The declaration on independence of Armenia (August 23, 1990) had been based on the December 1, 1989 declaration, which was and still is in force. As it is well known, the independence of Karabagh remains unrecognized, even by Armenia.